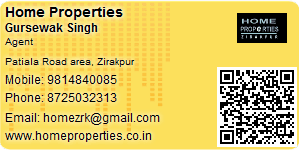 Home Properties is a professionally managed Real Estate Consultant based in Zirakpur. We are one of the trusted Property consultants in Tricity offering a wide array of services related to property. We have the core competency in offering solutions to Buy / Sell Residential House & leasing Commercial Property in Chandigarh, Panchkula, Mohali, Zirakpur, Kharar, Derrabassi and nearby areas. We thrive of our well organized resources to meet the exact requirements of the clients with prompt services. Being a reputed Real Estate Consultant, we assure our clients of transparent deal in all transactions of the property related issues. Our rich experience and expertise in the field of real estate have enabled us in offering the clients with complete Property Management Services in Chandigarh as per their expectations. Home Properties is a professionally managed Real Estate Consultant based in Zirakpur. We are one of the trusted Property consultants in Tricity offering a wide array of services related to property. We have the core competency in offering solutions to Buy / Sell Residential House & leasing Commercial Property in Chandigarh, Panchkula, Mohali, Zirakpur, Lalru, Derrabassi and nearby areas. Plot for sale 90 Sq.Yd in Victoria Enclave Bhabat, Zirakpur. 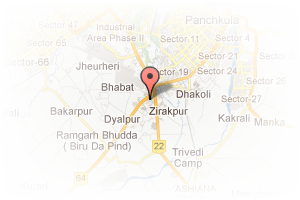 Address: Home Properties, Patiala Road, Zirakpur, Chandigarh, India. This Broker Profile page for "Home Properties" has been created by PropertyWala.com. "Home Properties" is not endorsed by or affiliated with PropertyWala.com. For questions regarding Broker Profiles on PropertyWala.com please contact us.